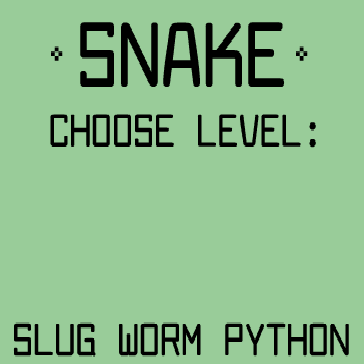 Play the snake video game for free at AtoZgames.com. It’s fun, and more of a challenge than you might guess by looking at it. This low tech early video game actually moves quite fast. Wiggle around, it may take a few tries to get the feel for the game. You can find a screen shot of how the game looks here. However, this is just a screen shot. It will not do anything if you click it! Do follow us on Facebook and Friendslr for updates and new games! Use your arrow keys to direct your snake to its target, but don’t run off the screen, the game will end, and you will have to start over.